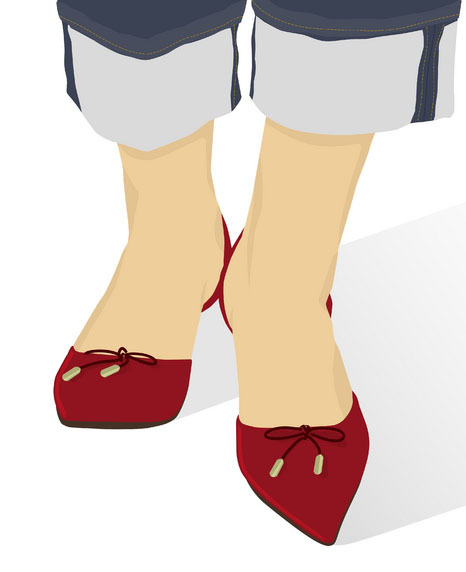 Judi Knight of New Tricks, shares a mod pair of Ruby Slippers while consulting with me on a new blog design. It turns out that I was able to show Judi a New Trick about posting a blog post to Facebook from my wordpress.com blog. Judi and Dene Shepherd tried yesterday to get Mark “Exit” Goddchild”s WordPress.com blog to post to his Facebook page online casino and I fixed It! Yea! It turns out that if you put a link into the post and save it, go to the post in View, a box comes up that gives a choice to select it and it can post to Facebook or where ever.